On this trip, the show climbs up all 178 steps of the Tybee Island Lighthouse in Savannah, Georgia. This marvel of a lighthouse has a beautiful view of the Atlantic Ocean that goes on for miles. This lighthouse is a must-see attraction when going through the Savannah area. This historic landmark has been around a long time, guiding mariners around the coastline of Georgia. This model of the lighthouse hasn’t been the same throughout all the years it’s been there. It has been rebuilt and upgraded to accommodate new technology. 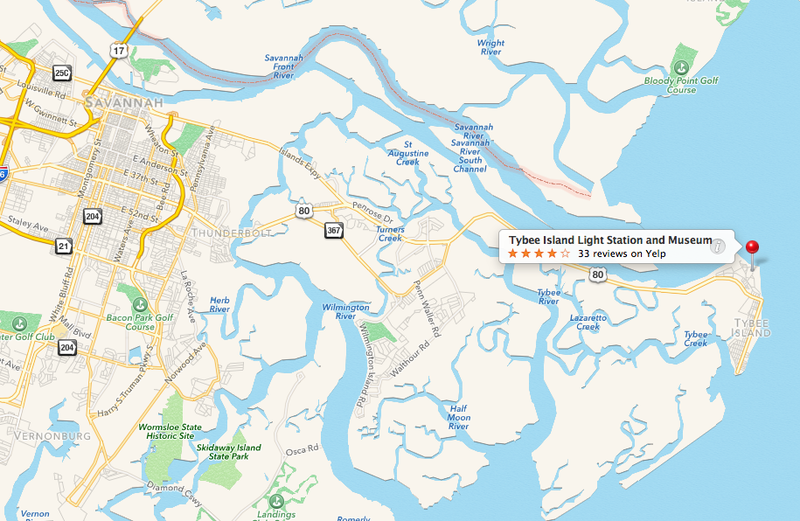 The Tybee Island Lighthouse is one of the most active light stations in America today. The site still has many of its historic buildings that were used in the 1800’s to support the lighthouse. Some of these buildings date all the way back to 1812. These buildings can give a visitor insight on how the lighthouse keepers and their families lived on a daily basis. This great historic sight once was the highest point in colonial America. The lighthouse reaches 154 feet high and can be seen from 18 miles away. 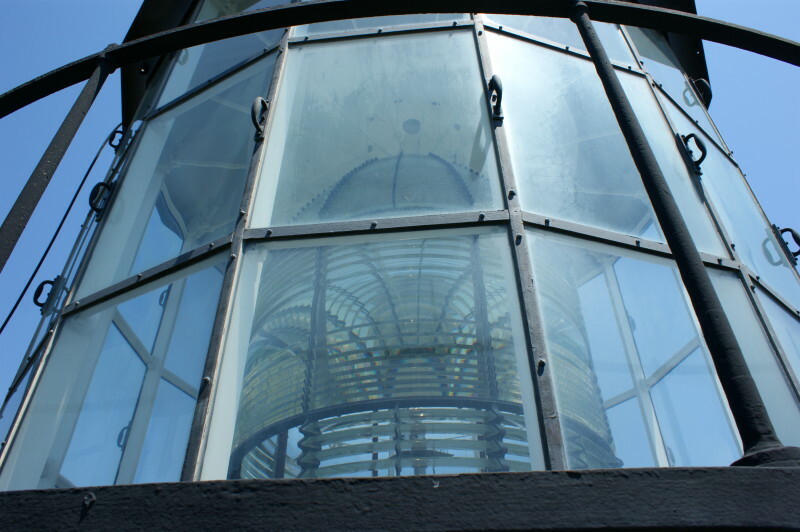 It has an automated lighting system with first order fresnel lens that is almost 9 feet tall. The lighthouse uses a small lightbulb that is magnified to over 20,000 candle power. The lower part of the Tybee Island Lighthouse is painted black, along with the lantern. The upper section of the lighthouse is painted white. These colors were chosen because they resist sun exposure the best. The first tower was built in 1736, at the direction of James Oglethorpe. 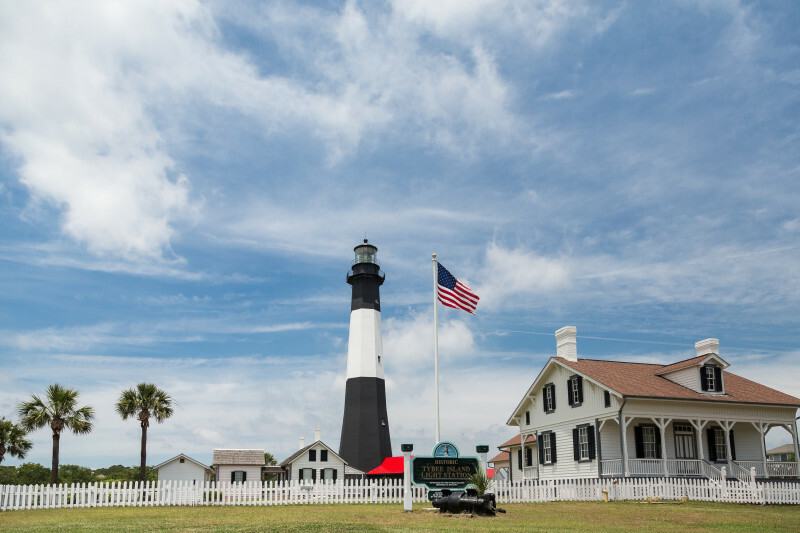 The Tybee Island Lighthouse was constructed of wood and wasn’t strong enough, causing it to collapse in 1741 during a storm. 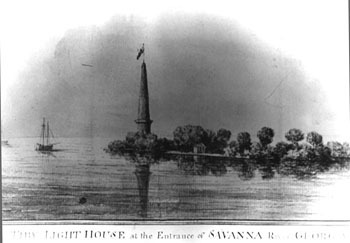 In 1742 a replacement lighthouse was constructed. This second lighthouse was built with wood and stone, but still couldn’t hold strong enough because of shoreline erosion. Neither of these first two models was lit with any type of candle or oil lamps. The third Tower was constructed in 1773 and was built with bricks this time. It was first fitted with a system of reflectors and candles, but this was upgraded to oil lamps in 1790. The Lighthouse took some damage while the Confederates used the lighthouse in the Civil war, requiring a reconstruction. When it was finally reconstructed, it was built larger, to about 154 feet from it’s original size of 90 feet. After another hurricane and earthquake, the Tybee Island Lighthouse was reconstructed and updated again using iron and bricks. The Tybee Island Lighthouse is located only 18 miles east of Savannah, Georgia, right on the coast of the Atlantic Ocean. If you would like to visit the Tybee Island Lighthouse head to their website at tybeelighthouse.org.